When you hear “habit” what is the first thing that comes to mind? In most cases the answer is bad. We have conditioned ourselves to the belief that habit equals bad. But, then there are good habits. It’s just that we think of them as secondary. We know good habits are essential to our success, yet good habits aren’t even on our radar. It’s no different from the half empty glass. Today, I’m going to challenge to you think about habits as good. And try to start one. Think about the following two habits, Smoking and Exercise. 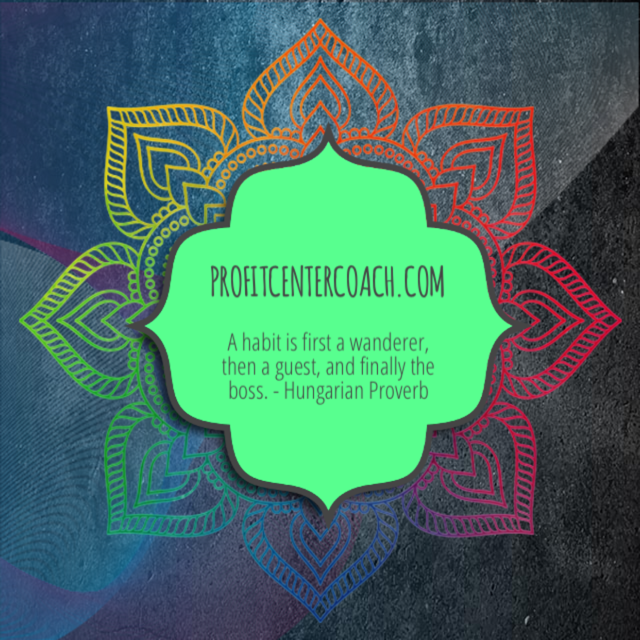 First the habit is a wanderer. You try smoking or maybe you go for a walk around the block. Neither has developed a craving or yearning for more. It was a one time event. Then the habit is a guest. Maybe you smoke “just at parties” or your walk has turned in to a 30 minute lunch stroll. Finally, the habit is boss. You smoke a pack a day or you enter 5K’s. How can you use this progression to your advantage? First develop a morning routine. What you do in the first hour after you wake up sets your success for the rest of the day. This does not have to do with getting the kids up and fed… this is what you do for YOU. Developing a series of habits will motivate you, whether that’s meditation, exercise, or type of food you consume. Research and find your best options for you. Just put as many topics on a piece of paper, you should be able to come up with at least 30 bullet points from these 4 brainstorm topics. This is your starting point. Next. Write or press record. Just open Word on yomputer, your video camera or the recorder on your phone, and just start. Set aside 20 minutes a day before you actually “start” your business for the day… and in a month (notice I said you’d have 30 bullet points… one a day), in a month… see your progress. Has the “wanderer” turned into a “boss”? Join us and Install our free App!